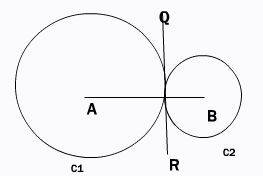 Theorem: If two Circles touch each other internally or externally, the point of contact and the centers of the circles are collinear. 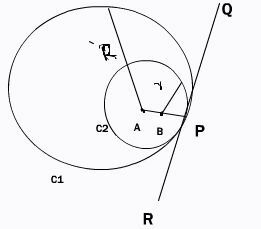 Data: Two circles with centers A and B touch each other externally at point P (Figure on the left) or internally. 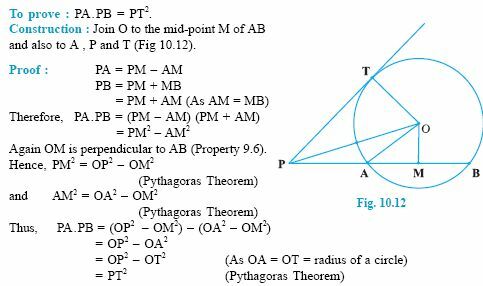 Theorem: If a chord(AB) and a tangent(PT) intersect externally, then the product of lengths of the segments of the chord (PA.PB) is equal to the square of the length of the tangent(PT2)from the point of contact(T) to the point of intersection (P). 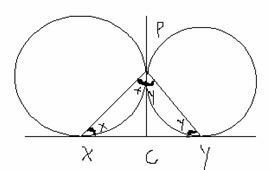 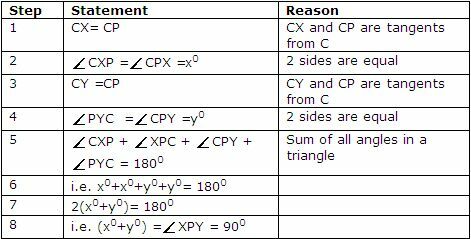 Given: PT is tangent,AB is chord. 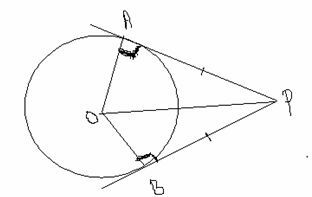 Construction: Join O to the mid point M of AB, Join OA.